We all struggle with problems. And the people in the church at Corinth were no different from us today. 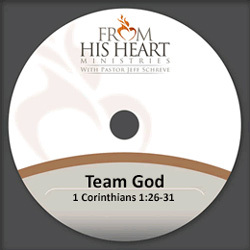 In this unifying message, Pastor Jeff Schreve calls upon God’s people to remember that God has chosen us to be a part of His team with God as the only “all-star!” He must be first. We need to be ready and willing to follow Him when He calls us up to the plate. Are you ready?